If you have been watching the news, especially with regard to investments, you know how much rare coin investing is taking hold. People are realizing all of the advantages to this type of investment vehicle and want to cash in. You can avoid expensive pitfalls of other stocks, have a physical investment , such as a rare silver coin, on hand or in a safe deposit box, and can choose from a variety of reputable dealers. Here are some tips to follow if you decide to go through with rare coin investing. If you were told a certain investment was a “bargain” or “cheap,” wouldn’t you assume that same person would be rich themselves? This is why you should realize that bargains in investments do not exist. The majority of bargains that dealers are pushing aren’t really going to save you money. Always remain aware if someone attempts to sell you on a given investment with the promise that it will appreciate in value more than a given percent. This person doesn’t know or they would be keeping the investment for their own profit. There are two issues with rare coin investing: grading and counterfeits. Most rare coin dealers with a good reputation don’t even bother with counterfeits, but over grading isn’t uncommon. Some dealers will purposely over grade a coin just to get a higher price. Finding a reputable dealer is one way to avoid this from happening, as well as educating yourself on grading and having plenty of experience in rare coin investments. Remember that business savvy people are not the same as coin experts or coin collectors. By understanding the difference, you can easily spot someone with enough experience to give you a decent and honest investment, rather than trying to cheat you out of money. To find a good expert in coins, you just need to shop around. Obviously it is best to develop a relationship with a coin dealer who, over time, has shown to be honest, respectful and knowledgeable in the rare coin investment industry. Be extra careful if you decide to attend an auction where rare coins are being sold. Often time, the auctioneers are the only ones profiting here. To properly buy at an auction house, you need to be well educated on both spotting rare coins, grading them and understanding how the auctions work. You can easily lose money just because of the competition factor. And this isn’t the only problem with buying rare coins at auctions. There is also a considerable percentage charged, typically 10-20 percent. You’re already losing money just by purchasing it. As with all investments, the value of rare coins is not a locked-in price. Coin value is constantly changing and it is impossible to have one value set on your coins forever. And of course, you want it to change because that means there is potential for the value going up. Unfortunately, it can also mean the value can go down. 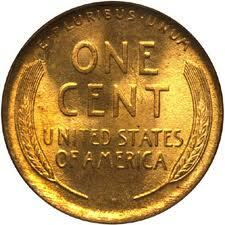 The value you are told when buying a coin, is simply the current listing price, not necessarily their worth. Comparing coins in a series is a good way to better estimate their actual worth. The quality in the coins you are investing is extremely important. If you are thinking about investing in lesser quality rare coins because you assume their value will increase over time and you will profit more, you’re probably wrong. Invest in the highest possible quality you can afford. The higher the quality, the more likely the value is to increase in the future.